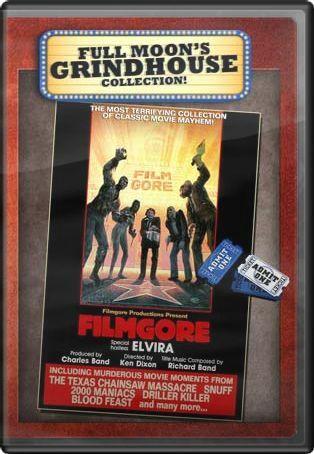 FILMGORE available now from Full Moon Features! Here’s a little quote for you, Doc: “The child is in me still and sometimes not so still.” – Fred Rogers. That’s Mister Rogers, if you didn’t know him personally. I may be a grown up, but I can still feel the twelve year old boy running around inside of me; though it could be that $5 Little Caesar’s pizza I had at lunch. In any case, the 7th grade version of Malone was all giddy for the second film I’ve had the pleasure to review in Full Moon’s “Grindhouse Collection.” This time around, it’s 1983′s Filmgore - a compilation of some of the finest horror clips Producer Charles Band (Trancers, Dolls) could afford. 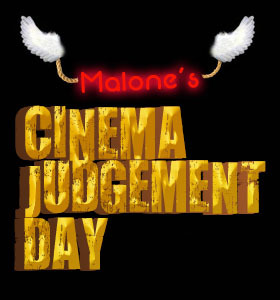 With jokes written by the late Forrest J. Ackerman (Dead Alive, Evil Spawn) and featuring Elvira (Cassandra Peterson), this little flick is a wonderful nod to the VHS days of the ’80s. 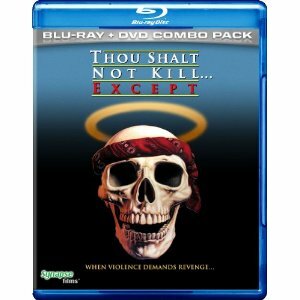 THOU SHALT NOT KILL… EXCEPT now on Blu-Ray from Synapse Films!